WHY did this statement committed to GRACE PASS BY ONLY 53%?? The debate on the statement made it obvious: to affirm that God’s grace is available to ALL treads dangerously close to affirming LGBTQ people. 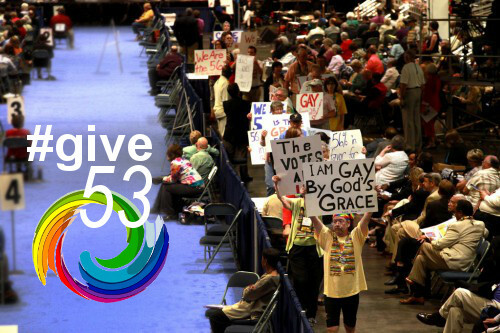 As we move towards General Conference 2016, Love Prevails invites you to #give53, joining the 53% of United Methodists willing to affirm that God’s grace is available to ALL people.